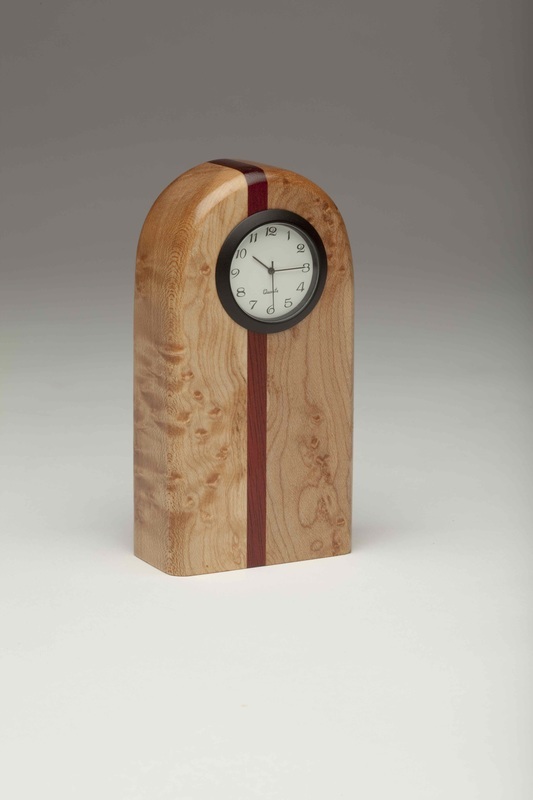 Like my cutting boards, my clocks are meant to last a lifetime. The clock inserts use high quality, quartz movements, and the wood cases I construct will just get more beautiful over the years. I use 95% Wisconsin hardwoods: maple, walnut, cherry, oak, pecan, and elm, as well as figured lumber like birdseye maple and curly maple, which are also sourced locally. , as well as a small amount of exotic species like bloodwood, bubinga, paduak, and purpleheart. They are finished with 4 coats of polyurethane to protect and highlight the grain of the wood. 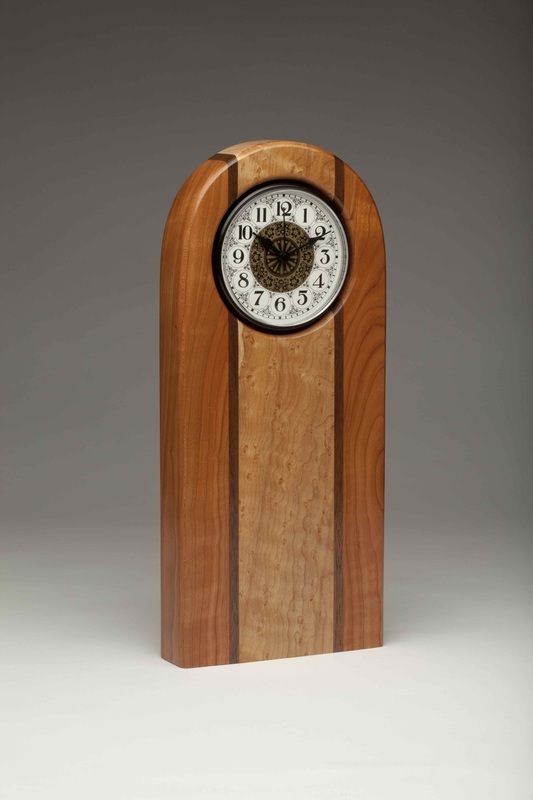 Large Clocks measure 5 1/2 x 12 and are 1 5/8 inches thick. They have a 3 7/8 inch clock face and are priced at $85. Medium Clocks measure 4 1/2 x 9 and are 1 1/2 inches thick. They have a 3 1/4 inch clock face and are priced at $56. 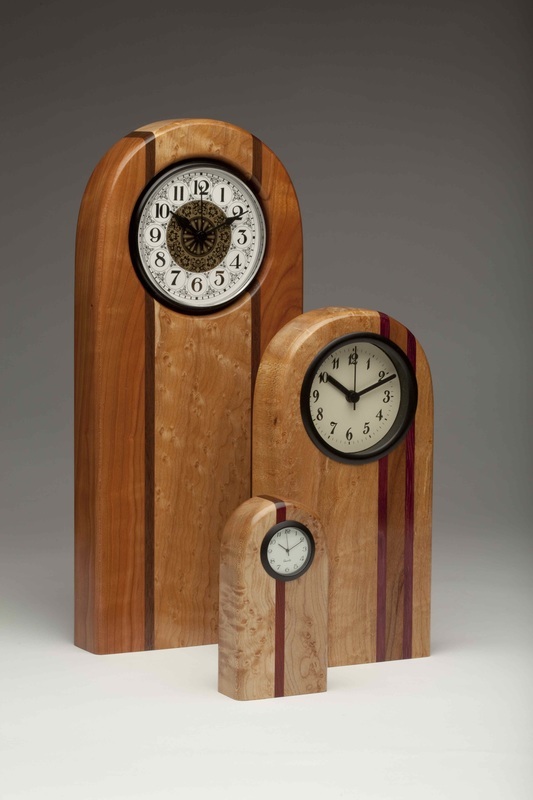 Small Clocks measure 2 1/2 x 4 and are 1 1/4 inches thick. They have a 1 7/8 inch clock face and are priced at $85.